Reserve your carriage ride in advance. 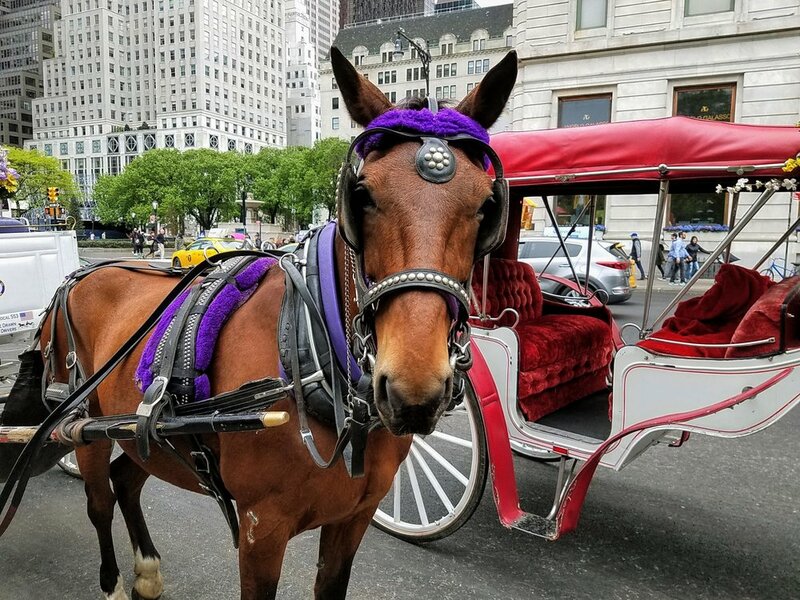 Take a horse-drawn carriage tour, and see NYC's historic Central Park the way it was meant to be seen. Click above to book a 30-minute tour along Central Park's perimeter. The legal rate established by the City of New York is $75 per carriage plus applicable booking fees when you use our online booking interface. You should never be charged per person for a carriage ride. Each carriage can hold up to 4 adult passengers OR 3 adults and 2 children under 12. The 30 minute ride is perfect for families with young children! You will be redirected to our third-party partner site, where you can pay securely online. Please save your confirmation email, which will include reservation details and a receipt. There is no need to print your confirmation. Click above to book a the Hour Long Full Tour through Central Park, with brief stops along the way for photos. This ride costs $140 per carriage plus booking fees when you use our online booking interface. Each carriage can hold up to 4 adult passengers OR 3 adults and 2 children under 12. There is no need to print your confirmation email for an online reservation. You will receive a separate email message from Central Park Carriages within 24 hours after online payment, which will provide more info for your scheduled ride: driver's name, his/her cell phone number, and a detailed pick-up location. Our designated meeting spot for reserved rides is typically at the corner of 59th Street and 5th Avenue. How many people can fit on my carriage ride? Per legal regulations, each carriage can carry a maximum of 4 adults OR 3 adults + 2 children under 12 years of age. If your group consists of more than 4 adults, please reserve more than one carriage. To ensure the health and happiness of our horses, there are no exceptions to this rule. Tips are not included in the price of a ride. We encourage you to leave a standard 15% to 20% gratuity for your driver if you enjoyed your experience. Our drivers do not directly solicit cash tips, but they are always accepted with gratitude. Our horses love tips too! Feel free to bring them a carrot or apple treat.